VideoRay’s Mission Specialist (MSS) technology will be used offshore in Norway for inspections. This is the first year in which the inspections will be completed without support vessels, due to the capabilities of the MSS in conjunction with Stinger technology. On June 17, 2017, the Howard County Department of Fire and Rescue Services (HCDFRS) in Maryland responded to a call to assist with the search for a missing swimmer. The jurisdiction having authority requested assistance from HCDFRS’ Special Operations Team after reviewing operations from their previous water recovery on June 13, 2017, with their VideoRay ROV. The ROV was deployed into the lake off a dock and conducted an all-sonar search. The body was quickly found and recovered using the manipulator arm. Because of the fast deployment, trained ROV operators, and enhanced capabilities of the VideoRay ROV, both this incident and the previous one on June 13 were quickly resolved before the arrival and deployment of SCUBA divers. Howard County Department of Fire and Rescue (HCDFRS) used a VideoRay Pro 4 ROV to locate and recover the body of a drowning victim without divers on June 13, 2017. The HCDFRS team, consisting of VideoRay-certified operators, used a Pro 4 with sonar and a manipulator arm. The sonar technology was used to locate the body of the victim, about 150 feet from the shoreline, and the ROV grabbed the t-shirt of the victim and brought him to the surface. The whole process took only an hour, thanks to the efficiency and accuracy of the HCDFRS team. Howard County, Maryland, is prepared and experienced in the use of ROV technology to keep divers safe and recover the bodies of drowning victims to bring closure to families. To read more about Howard County's training and success with their ROV, click here! Today, VideoRay announced that another Deep Trekker unit has joined those from SeaBotix, and two other manufacturers in the VideoRay trade-up pool. While most of these units have been from SeaBotix, more Deep Trekker units are expected – particularly from Norway and Chile aquaculture companies. Underwater robotic tool locates victim in poor visibility, provides forensic information, and keeps divers safe. Jean Willie Mercier, 34, a Haitian worker for Césped del Valle in Limache, Chile, had been missing for hours when security camera footage of him walking near a lock with his dog was reviewed. After he entered a blind spot for the cameras, only the dog remained. Valparaiso-based special operations group GOPE was tasked with solving the mystery. GOPE, led by used their VideoRay Pro 4 remotely operated vehicle, equipped with BlueView sonar, to review the 3-meter-deep locks to see if Mr. Mercier had fallen into the murky water. They soon located the victim using sonar, and captured still pictures and video for use by the Homicide Brigade in determining if foul play might be suspected. Recovery of the remains was done by a GOPE diver, who followed the VideoRay tether to the body, which was illuminated by the robot’s lights. Back in 2016, Santiago Gutiérrez of Diving Services, a retired navy diver and diving instructor, provided GOPE with a VideoRay Pro 4 with BlueView multibeam sonar, and manipulator. Since acquiring the unit, it has been very effective and reliable, working with its sonar unit in limited visibility to search for hours nonstop. Elbit Systems completed a full MCM application, using a VideoRay ROV for the identification and neutralization phase of the mission. 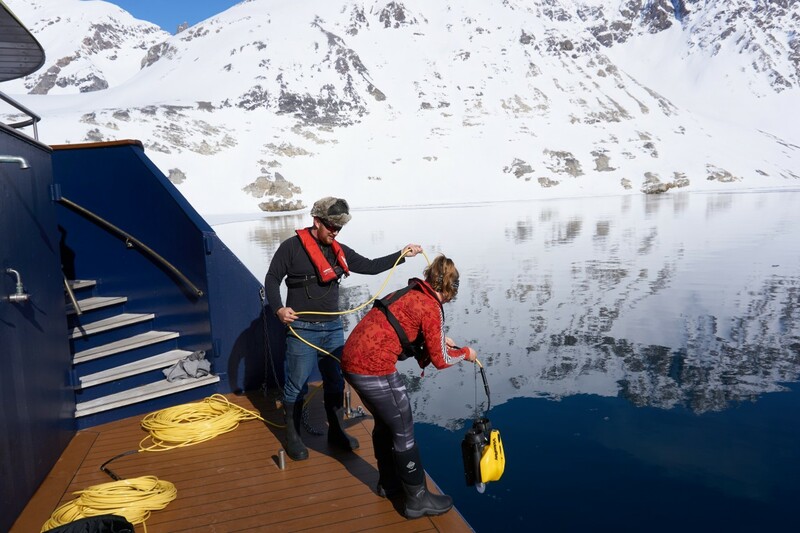 Lindblad Expeditions deployed a VideoRay Pro 4 on the ROV’s maiden voyage to Svalbard, Norway on May 17, 2017. Onboard the National Geographic Orion, Paul North and Caitlyn Webster, both Undersea Specialists with Lindblad Expeditions and VideoRay Certified Operators, flew the ROV for three different dives during the expedition. On the Pro 4’s second dive, to 540 feet, the group experienced a dense population of krill, the densest ever seen by these Undersea Specialists. Ian Tomcho, expedition equipment specialist for Lindblad Expeditions, commented “We could not see farther than 2 inches in front of the camera. We did not know how close we were to the ocean floor, even while hovering a few feet above it, because of all the krill.” Every evening after a dive, Paul would discuss the footage captured with the guests on the expedition. With the help of their VideoRay Pro 4 ROV, Lindblad found the densest population of krill they had ever witnessed at depth. This discovery will help the scientific community to better understand krill behavior and daily migrations. VideoRay is proud to have their ROVs included in Lindblad’s roster of Tools for Exploration. We are looking forward to future expeditions and many more discoveries. On July 1 at 2:45pm, the body of an Oaktown, Indiana teenager was recovered from a small lake in Knox County, Indiana, using a VideoRay Pro 4 ROV. 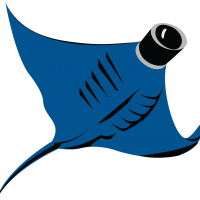 Inland Seas, a non-profit in Michigan, is utilizing a VideoRay ROV to educate children on preserving the Great Lakes. Click here to read the full story!